Pretty close and with lots of information to share about what the next step should be. 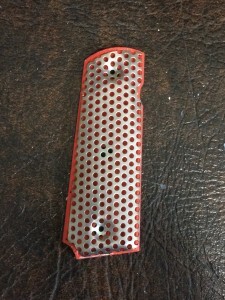 In Part 4 of the Cool Grips Project, I showed you the latest attempt at a prototyping die, and the latest prototype trapped inside it. I melted the die off and got to work measuring it to figure out to what degree springback (which is what trapped it to begin with) would be a problem. 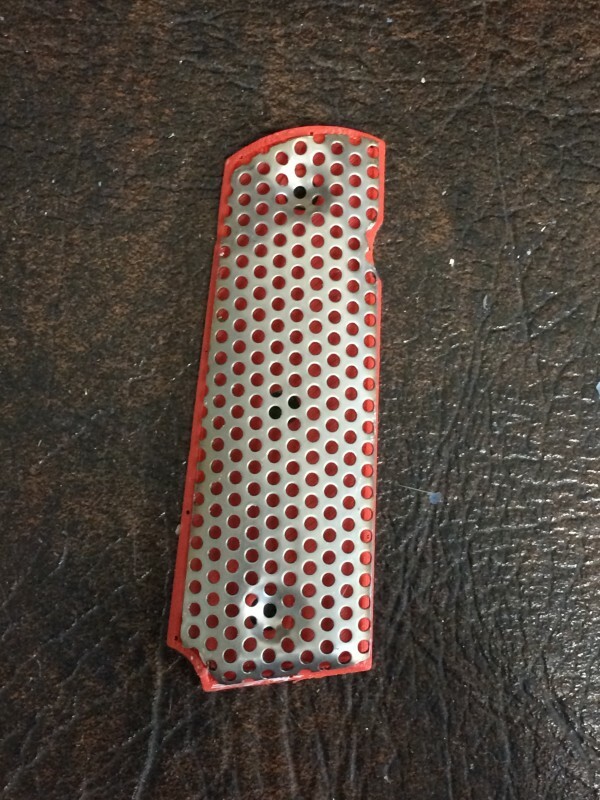 The picture shows the prototype metal sheet sitting in a 3-D printed version of the plastic under layer. The fit is not fantastic, but a couple of things are evident: first, the flat pattern I developed is pretty close to correct. At the moment the error introduced by less than ideal cutting technique is smaller than any design error, so I can’t refine the pattern as developed in CAD yet. Eventually that will have to be waterjet cut or stamped to eliminate the cuttout errors. Second, springback is very clearly an issue; the grip is about 20% thinner than it needs to be, which is why it looks too large from above. That means I need to increase the curvature for the next round of prototyping dies. The fixturing alloy continues to perform very well. I don’t know how these can be considered “short run” dies, unless “short run” means “only one,” but they can be produced much faster and more safely than cutting steel or even aluminum, so I’m quite happy. The challenge now is to create a CAD model with the right curvature. It’s a tricky shape to model, so I’m actually not sure exactly how that’s going to happen.